I will be heading back to Haiti in a couple weeks. It has been 3 months since my last visit, the time in between has passed quickly; first recovery, getting my bearings back home where so much of what we think is a necessity is really a convenience, then back to work writing grants, updating files and sending our sponsors the information and photos we gathered on our last trip, then it is time to prepare to go back to Haiti, and finally time to go. It is bittersweet coming and going. I have come to have tremendous faith in the creative partnership that I have embarked on with everyone who has contributed in anyway to Sionfonds. I am willing to dedicate myself to the work and I cannot do it alone. We are in this together we all contribute; every thought, every action, every donation, every child, every prayer makes a difference. Right now Sionfonds needs funds to implement our programs. We need your help, send money, raise money, pray, spread the word on facebook, what ever you can do to help will be worth the effort, because what we are doing is important. By contributing to Sionfonds you are directly affecting the lives of more than 1000 students and the families of our 50 employees plus another 50 part time workers in Haiti. That is not a small thing it is a miracle. Sionfonds is all of us who care, with a handful of people volunteering to do the administrative and on the groundwork; so that your donations can go to the people they are intended Haitian children and their families. This organization serves as a vehicle for those who wish to serve. We have consistently provided the framework in which those with a dream to create something important and needed in Haiti can do so. Every year we have had young people and adults bring school supplies and visit our schools. We bring medical teams and create mobile clinics where there is no other medical or dental care. In two and half weeks another dream will be realized, we will be conducting a teacher training for 40 Haitian teachers and young man will complete the requirements to become an Eagle Scout by gathering and bringing school supplies for 352 students up a mountain to the community school in Masson. Every one of these dreams is realized because of the hard work and dedication of those who dare to dream and the people like you who support them, and the work we do on your behalf in Haiti. 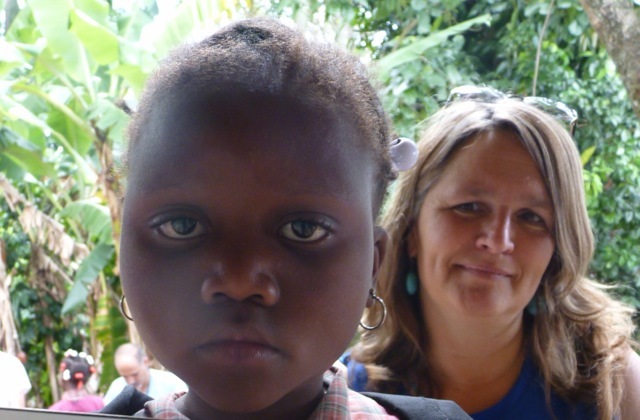 Sionfonds for Haiti is a true partnership in the best example of community and collaboration I know. We believe and work together to realize our dream of making a better future for Haiti and the world. Founder and Executive Director of Sionfonds for Haiti. I am very pleased to let you all know about our upcoming education trip in just a few weeks! It is an example of how Sionfonds is truly a community of caring volunteers and donors working together to make a difference in Haiti. While serving as an interpreter on several Sionfonds medical trips, Serena Clayton was impressed with the promise of the schools we support. She also learned they badly needed teacher training and equipment. Serena raised money for computers and desks last spring and has now recruited two friends, Vanessa Bramlett and Kathy Schultz, who are teacher educators, to provide a three-day teacher training. In addition, on this trip I will be joined by a young man completing his Eagle Scout requirements. His Eagle Scout project is to collect and deliver educational supplies to our school in Masson. We are proud to have young people making such great contributions to our work. Finally, we are also holding summer camp at Masson beginning July 25th. Sionfonds will feed and educate over 350 students for a week to help them stay on track in school. All of the volunteers on this trip are covering their own expenses and donating additional supplies. We still need to raise $5,000 for the teacher training to cover interpreters, as well as transportation, food and lodging for 40 teachers. The summer camp is a bargain at $6.50 per student. To serve 350 students, we need to raise $2,275. On behalf of the teachers and students at Masson, Kenscoff, and Cavaillon, we ask for your support. Thank you for your past and continued support. 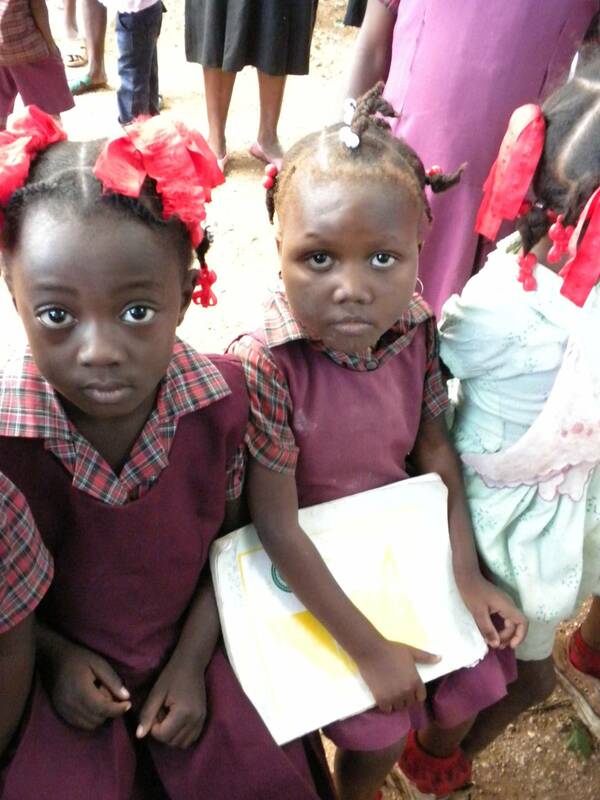 Together we are making a difference in Haiti. p.s. If we can fully fund this trip, we hope to have many more in the future!